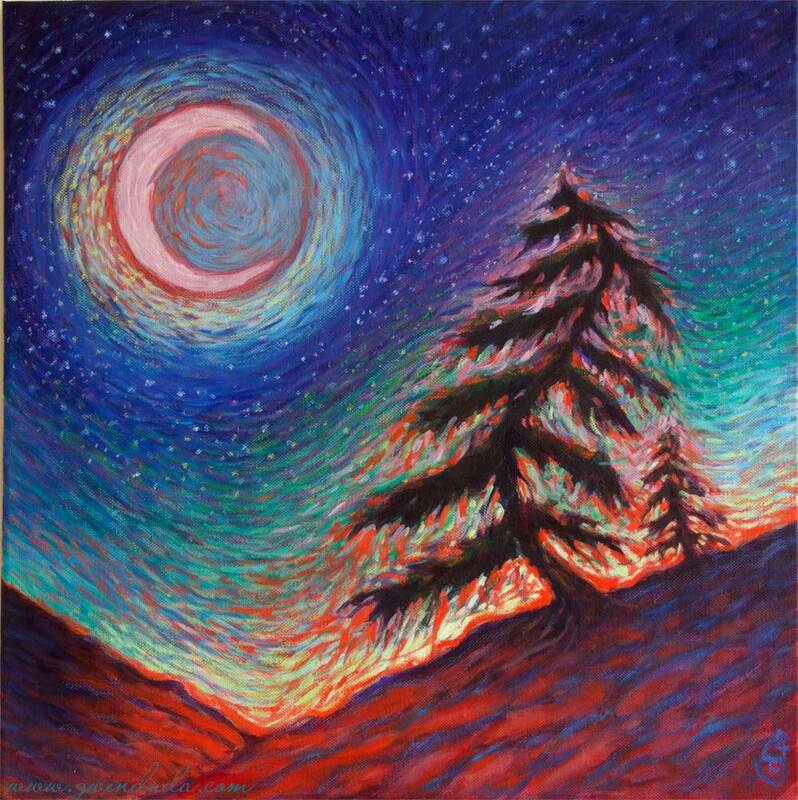 Being on the side of a mountain slope, on the ridge by wild jack pine, red rock and the brilliant stars in a glowing night sky at twilight, this was the inspiration for "Starbelt Ridge" a magical mystical 18" x 18" original mixed media painting. It was under painted in acrylics then oil paints were used to increase vibrancy and luminosity with some highlights done in oil pastel. It was then varnished to seal and protect. It is wired and ready to hang as is and the sides are left white.